Mean Girls meets Middle School in The Clique... The only thing harder than getting in, is staying in. Enter Claire Lyons, the new girl from Florida in Keds and two-year-old Gap overalls, who is clearly not Clique material. Unfortunately for her, while they look for a new home, Claire's family is staying in the guesthouse of the one and only Massie Block -- Queen Bee of Octavian Country Day School. Claire's future looks worse than a bad Prada knockoff. But with a little luck and a lot of scheming, Claire might just come up smelling like Chanel No. 19. Massie Block - With her glossy brunette bob and laser-whitened smile, Massie is the uncontested ruler of The Clique and the rest of the social scene at Octavian Country Day School, an exclusive private girls' school in Westchester County, New York. Massie knows you'd give anything to be just like her. Dylan Marvil - Massie's second in command who divides her time between sucking up to Massie and sucking down Atkins Diet shakes. Alicia Rivera - As sneaky as she is beautiful, Alicia floats easily under adult radar because she seems so "sweet." Would love to take Massie's throne one day. Just might. Kristen Gregory - She's smart, hardworking, and will insult you to tears faster than you can say "my haircut isn't ugly!" 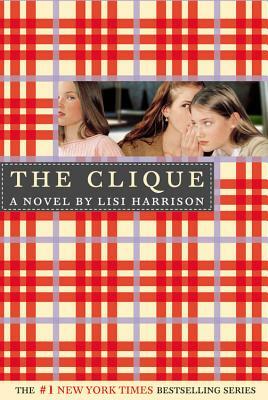 Lisi Harrison is the author of The Clique, Alphas and Monster High series. She was the Senior Director of Production Development at MTV and Head Writer for MTV Production. Lisi is currently pretending to write her next novel. Lisi lives in Laguna Beach, California.